Have you ever been to a dollar store? Well, if you haven't you might want to visit your local Dollar Tree store now! You'll find a lot of cool stuff there from grocery items, kitchen wares, garden, arts and crafts, and a lot more. 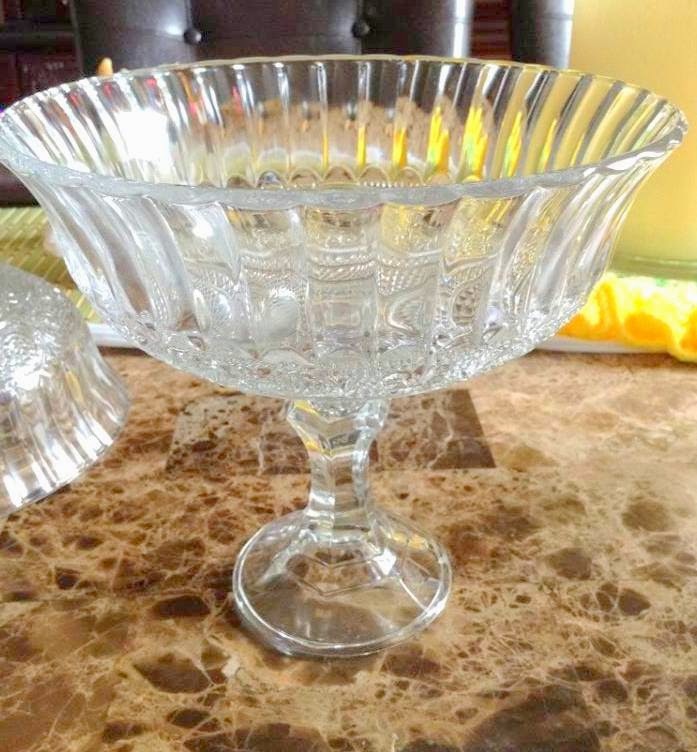 Last weekend, I bought some candle holders and bowls for my dessert stand project. 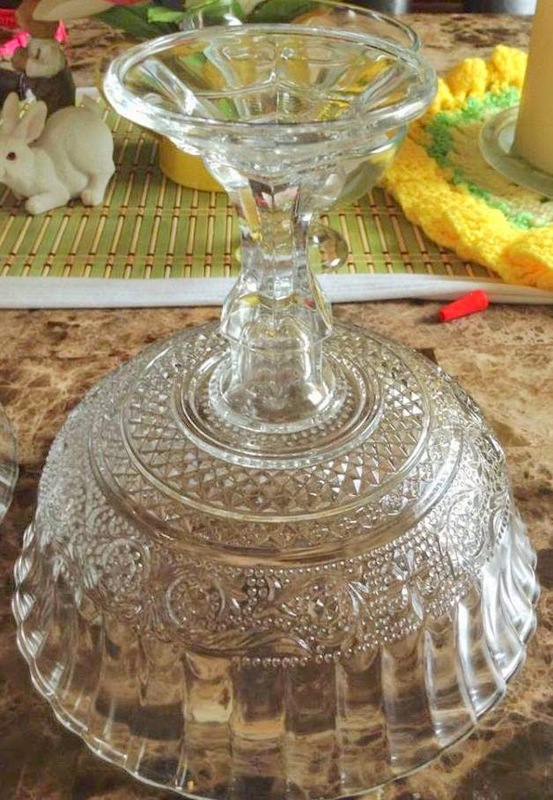 Cake stand and dessert stand can be expensive. I know because I have two of them, and each cost at least over $20.00. Now I found a great idea on how to make your own cake or dessert stand for $2.00. Well, of course you need to have a strong glue to make that magic happen. 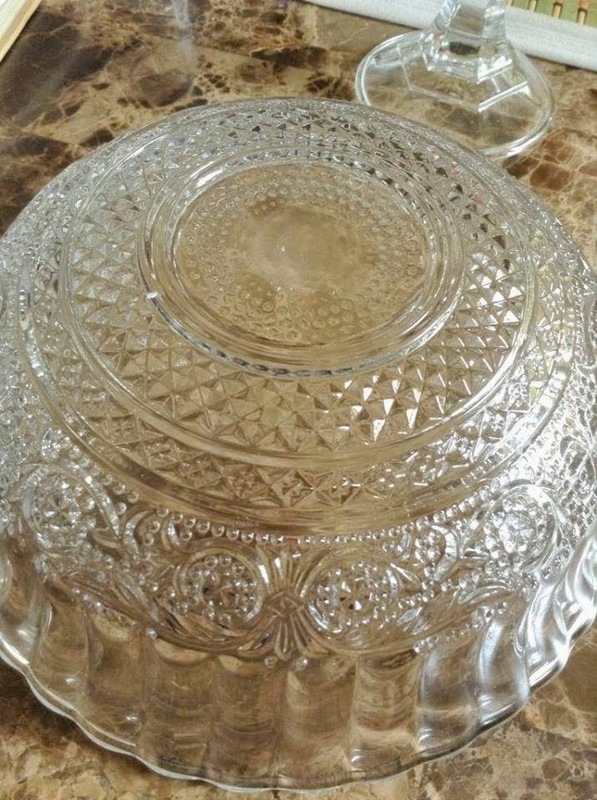 Candle holder and big bowl for $1.00 each. 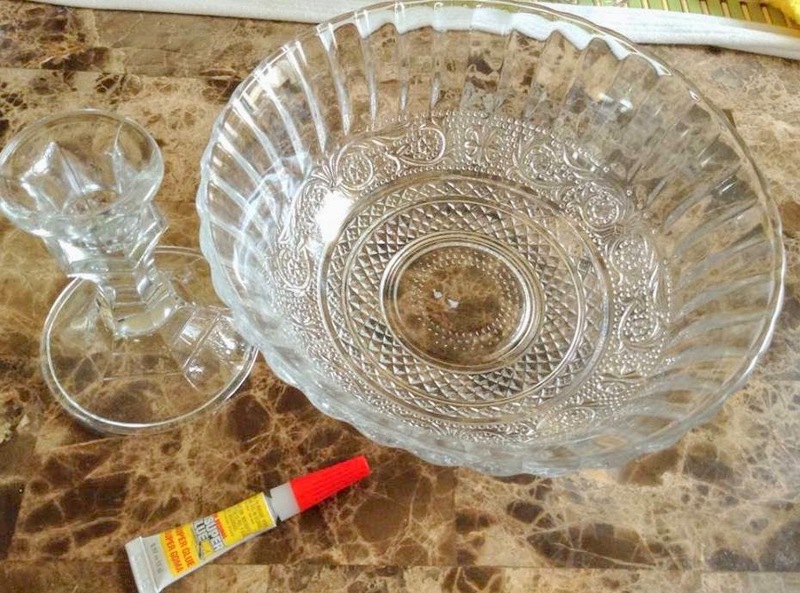 Apply glue to the top of the candle holder, and carefully center the candle holder on the bottom of the bowl. Then press down. Wait for several hours before using it. Viola! Now you don't have to spend a lot money on dessert stands. That's a great idea sis, great job!